Have you ever dialed up the luscious, creamy, dripping guitar tone of your dreams while playing at home only to find your otherworldly sonic confection was totally lost in the blur once you got out into a bigger room and started playing with a band? Throughout all the chat-room discussions of "what amp is best for xxxxx tones" and "how do I get my xxxxx to sound like," one factor that often confounds players' efforts to achieve what they feel is the ultimate guitar tone involves the false conflation of "home tone" with "gig tone." They are very different things. What sounds best in the former setting frequently doesn't cut it at all in the latter. And that's not something worth sweating over—just a factor worth understanding, and a reality worth dealing with, so that you can get the most out of each performance environment. Differentiating between home tone and gig tone is something that experienced performing musicians do intuitively, but which often takes less-seasoned performers by surprise when they come up against it for the first time. There's so much talk of "tone" these days, and so many guitarists are chasing it for all their worth, but more often than not this pursuit is undertaken in the isolation of a player's living room, bedroom, home studio, or some other "home alone" environment. There's nothing at all wrong with that, and these places are where we practice, learn, discover, and sometimes record the results. But honing our ultimate tone in these subjective environments can often lead to disappointment when we get out into a more subjective—and interactive—real-world performance situation. "What the ear perceives from a solo electric guitar and from a guitar blended into the mix of a full band are two entirely different things." Check the musings of players who put a lot of thought into "tone" in general—but who don't do much of their playing in an actual performance setting—and you'll find a lot of emphasis on guitar and amp sounds that are "smooth, warm, round, organic" and so forth. This might run to everything from the general preference for neck-pickup tones; to a love of the round, thick, early breakup of heavily broken-in vintage speakers; to a predilection for a little sag in the amp's response to add a soft cushion to the pick attack. These sonic characteristics can certainly be appealing to the human ear, being rather more caressing, and therefore more immediately pleasant in isolation than anything that hints at a harsh or cutting sound. What the ear perceives from a solo electric guitar, however, and from a guitar blended into the mix of a full band are two entirely different things. In the latter, that smooth, warm, round tone too often becomes pure mud. It gets lost in the mix, and your performance gets lost along with it. The fundamental notes—meaning the pure, fretted notes, without any consideration of overtones (harmonics)—of guitars with 22 frets cover the frequency range from the low E at 82Hz to a high D at 1,174Hz. It so happens that the human voice has a fundamental frequency range from approximately 85Hz to about 1,000Hz for sustained vowels, along with higher frequencies for consonants. The human ear can detect frequencies from around 20Hz (a further octave below the low E on a bass guitar) to around 20,000Hz (or 20kHz), but the average human's hearing is biased toward detecting sounds in the midrange frequencies, which is to say it hears them more easily (i.e. they are perceived as louder), while upper-mid and high-frequency sounds will also jump out as being more noticeable within any blend, if not louder in the pure sense. Those midrange frequencies, it turns out, encompass much of the human voice as well as the guitar. As it happens, they also define a lot of what a drum kit produces (drum frequencies trample all over the spectrum), along with anything your bassist will create above his or her first octave or so, and anything a keyboard or horn section will produce. In other words, without some clever tone-shaping to distinguish the note production of each instrument, you can be left with sonic mush. Meanwhile, thanks to the range of overtones (harmonics) that any plucked guitar string also produces, the guitar's frequency range is actually extended far above the frequency of its highest fundamental note, and it takes up a lot more space in the sonic stew than just this chunk of around 1,000Hz near the center of the midrange band. Put the guitar through an amplifier, especially a semi-distorted one (and most of them are), and these harmonics are accentuated further. Analyze that warm, smooth, round tone that is so easy on the ear at home, and you'll find that it achieves this quality by minimizing the aural spikes that strong harmonic overtones represent, and by softening the transients that represent punch and cut in a guitar tone. Plenty of overtones are still there in the warm, creamy tone, but in many cases they are more rounded and attenuated, so they're heard as smoother. Get that sound up on stage, though, amidst a drummer, bassist, vocalist, a second guitarist, and maybe some keyboards, and this spike-free tone is often about as effective as a rubber crutch. "Often, players new to the live scene will just keep increasing their overall volume in an effort to get heard. This usually inspires the rest of the band to crank up, too, ultimately accentuating the mush even further." Stand back from the stage, and—in a large, loud band at least—such a tone will often be virtually lost when everyone is playing, contributing more to the general sense of low-end presence and midrange body of the band's sound, rather than ringing as a distinct part on its own. Sometimes that might partly be what you want, from a power-chord rhythm guitar part or the chunk-metal second guitar, for example, that's backing another guitarist's riffs and lead work. Or, if you're playing in a small blues combo, with a more minimalist drummer and no extremes of volume, your smooth, rich tone might be delightful just as it is. It will cut through adequately because it doesn't have as much competing with it. In so many other scenarios, though, you'll want your own playing will be heard for itself, and ideally your rhythm and lead parts alike will shine and get some attention out there in the crowd, rather than just blending into the sonic haze. Often, players new to the live scene who find themselves plagued with trying to make their euphonic home tone work on stage will just keep increasing their overall volume in an effort to get heard. This usually inspires the rest of the band to crank up, too, ultimately accentuating the mush even further. Andy Martin shows three ways you can use pedals to cut through a band mix. To get that tone heard properly, you'll want to dial up the upper-midrange cutting power a little, add some attention-getting shimmer in the highs (though without creating an ice-pick-in-the-ear for anyone in the first few rows), and—if possible—achieve a tighter (rather than a bigger) low-end. This might involve simply tweaking your amp's tone and gain controls, or flipping from neck to bridge pickup, but it might also require a total rethink of your rig between the current gig and the next. More drastic changes that can help might include switching to a firmer, punchier speaker with more projection and a more detailed and immediate response; or exploring a brighter guitar (or amp) with more harmonic sparkle; or somehow reducing the sag in a particularly spongey amp to increase the pick attack. Or, you might simply need to put some fresh strings on your guitar. There isn't room here to cover all the possible adjustments, so we're mainly confronting the basics of gig-tone theory, but you'll know the condition when you hear it. Several respected guitar-amp makers work their designs from the ground up to achieve precisely the qualities discussed here. Which is to say, they create amps intended primarily for live use with a band—a situation that can, conversely, confound some players who finally obtain such a "dream amp" but only play it at home. 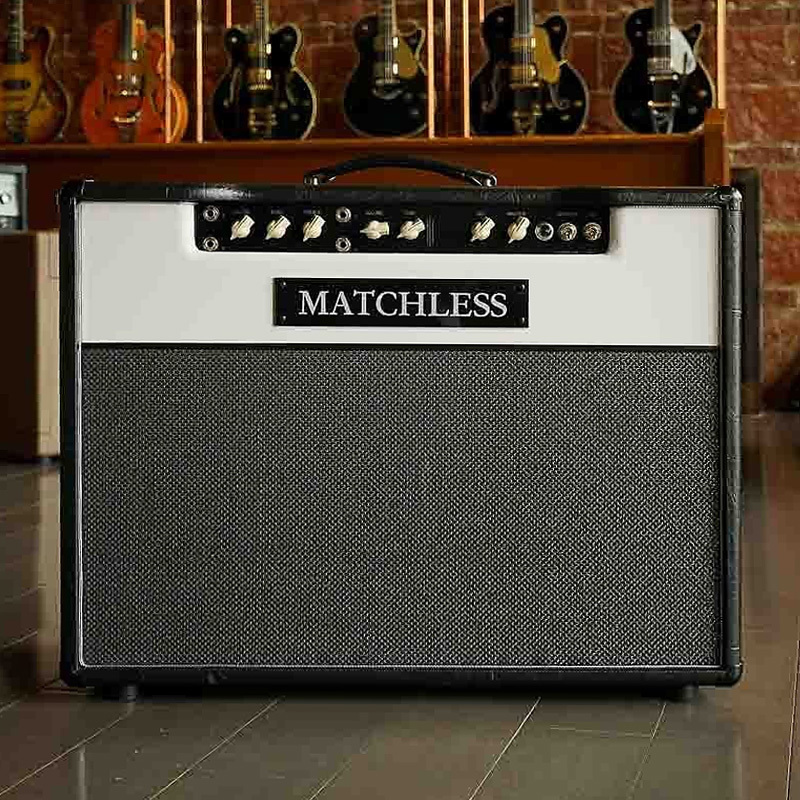 Names like Matchless, Dr. Z, Carr, Divided by 13, Hiwatt, and others often come up in chat-room threads where new owners (often, owners who aren't using them live, or haven't yet) are asking others how to dial in their new acquisitions so they don't sound so "harsh," "cutting," or "hard" for home use, or if there are any popular tricks or mods for taming the in-your-face nature of these creations. 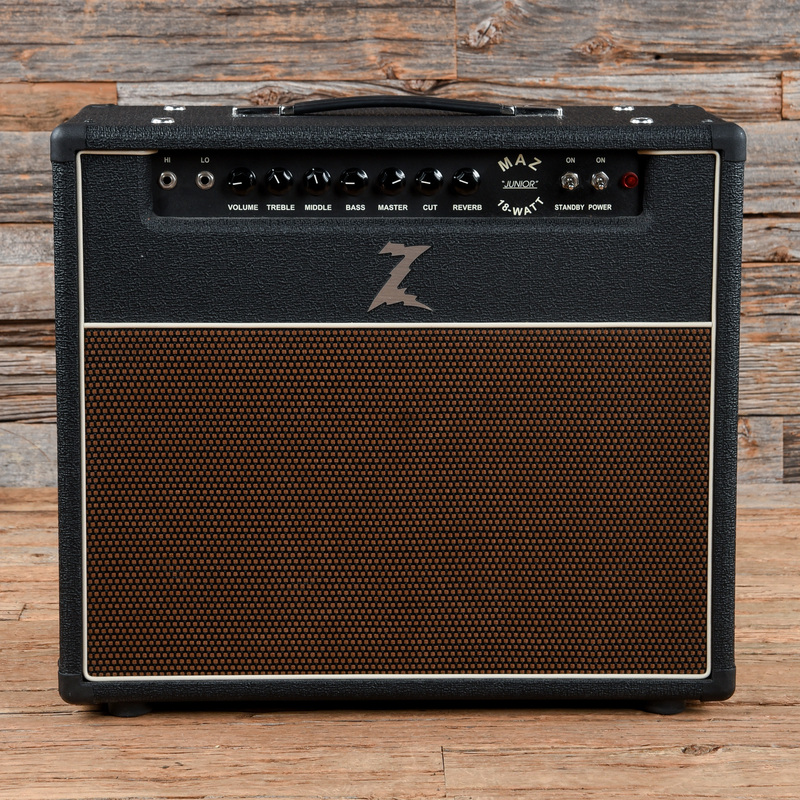 We hear it time and again about the Matchless DC-30, for example, or the Dr. Z Maz 18 or Maz 38, but get these amps into a 100-plus-seater club with a band pumping away alongside you, and the very same amp is suddenly responsible for getting you heard, and helping to make you a more effective player in the process. Put another way: the immediacy, clarity, and solidity of these amps might sound strident in the basement or bedroom, but they are the qualities that help to present your performance amid the potential mud of the rest of the full-band mix—thus letting the sweetness, shimmer and sparkle that's also inherent in those amps to shine through—to make you sound great along with it. It's important to realize, too, that your tonal requirements will vary from night to night, room to room, and that you should remain flexible in all gigging situations. All of which is not intended to say that you should entirely scrap that warm, luscious, ear-candy tone that gives you goosebumps in the bedroom—it might be exactly what you want in those playing situations, and preferable to the more professional-minded, cut-through-the-mix type amp—just that you should prime yourself against being too precious about it out in the real world. When you get "your tone" set up and ready to go in soundcheck, then find it is lost in the ether once the band kicks in, don't be too proud—or too stubborn—to change it. Dial some punch into the midrange, some cutting power into the higher frequencies, and some tightness into the low-end, and get your tone out there to the ears that matter most to the live performance: someone else's.